If you are planning a trip to Rajasthan and want to experience the royal culture of the epic time you should definitely plan your stay in Desert Haveli and Resort Camp. It is indeed one of the finest heritage resorts in Rajasthan. You must have visited the heritage properties with castles, haveli and forts; but here you can experience the same royalty experience with modern amenities in royal resort rooms and even in the luxurious tents. 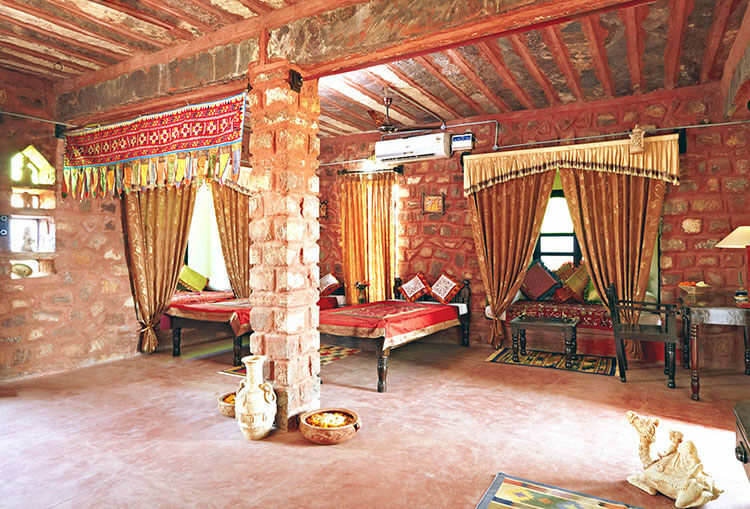 Desert haveli has one of the most luxury tent in Jodhpur. All the resort rooms and the tents have great architecture and well defined interior which shows the Rajput culture very well. Tents are usually available during winter and monsoon season. You can soak your sunny mornings and evenings in the open garden or private yard area of the property. 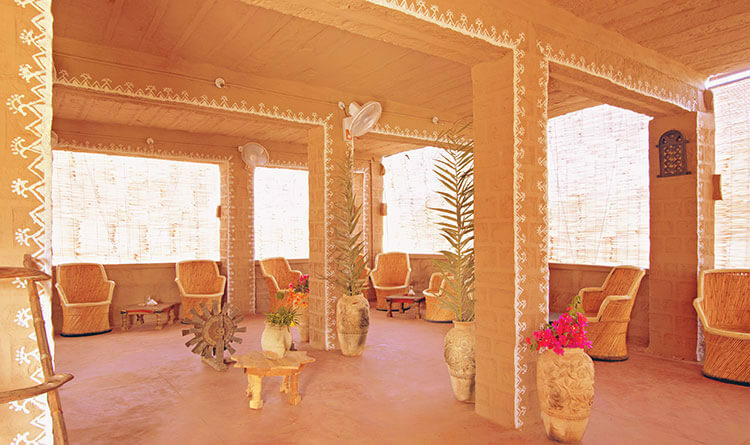 Desert haveli is very famous for providing gracious hospitality and unmatched services with personalized care of each and every guest; which will make your stay most memorable ever in one of the most popular hotels in Jodhpur. They have set a new standard in the world of heritage hospitality and it is very difficult task to reach to their level for any other heritage property. Along with the tents, there are twenty beautifully furnished and decorated cottages are there in the resort area. Most of them have double rooms with attached bathroom with tastefully designed interior. The ambience is very warm and welcoming which gives a special feel to each and every guest. Owners maintain and run this property with too much of hard work, immense love and care. So, you can feel all these in the services provided by them. All the staff members are always happy to help any of the guests with a smile on their face. And all this is what makes it one of the most popular resorts in Jodhpur. You will be getting a traditional welcome when you will check in to the property with a tilak (vermillion mark) on you fore head. 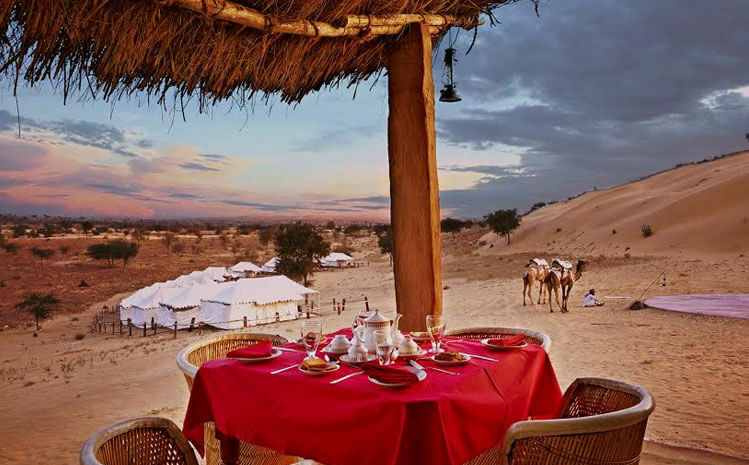 You can also enjoy various types of safari during your stay at Desert haveli like camel safari, village safari, jeep safari, kitchen safari, stud farm visit, picnic lunch at the farm and many more exciting things. You can enjoy the delicious meals during your stay at Desert haveli prepared by the expert chefs. You can also be a part of gala dinner under the sky along with camp fire, folk music and dance. You can have these amazing experiences by planning your next holidays at Desert haveli and Resort Camp Jodhpur. It is a place where every one feels the royal and vibrant culture of Rajasthan and experience the royalty like a Maharajas. You can even enjoy different kinds of safaris. In short it is a place for everyone. Old age people can enjoy the peaceful ambience, young age people can enjoy them selves with their loved ones in the romantic atmosphere and kids can enjoy staying in tents and experience the safari.